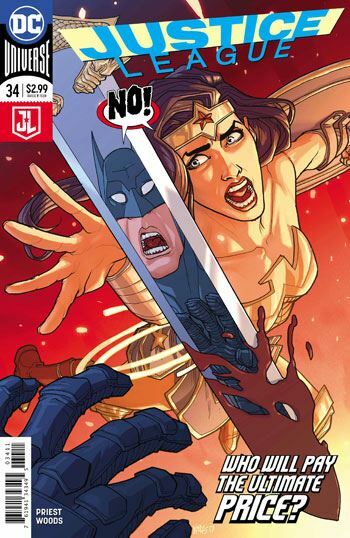 A new creative team debuts with Justice League 34, and a new storyline launches as well. Christopher Priest takes the reins with the script, and the art is in the hands of Pete Woods. I potentially would have had more patience with this opening chapter, had not I felt so burned by the first 33 issues of this book. As it was, I read this waiting for something to happen, then wound up re-reading it, once I understood where the story was actually going. Honestly, it’s a really low key way to start a run. The League is dealing with a variety of issues at once, an alien invasion, an earthquake, and a terrorist attack. Batman is coordinating the League members, but really screws up. 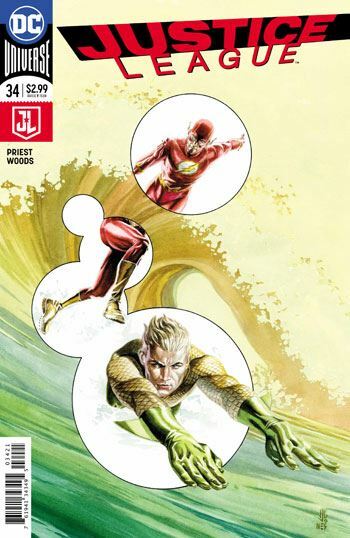 The screw up, caused by over-tiredness, proves to be the core of the story, and the repercussions look to be what will play out in the next few issues. Sounds like it will make for an interesting storyline. Woods’ art is well suited to the tale. He handles the members of the team well, the action sequences look very good, and there is a sombre moodiness to the whole thing. So I am crossing my fingers and hoping for the best.